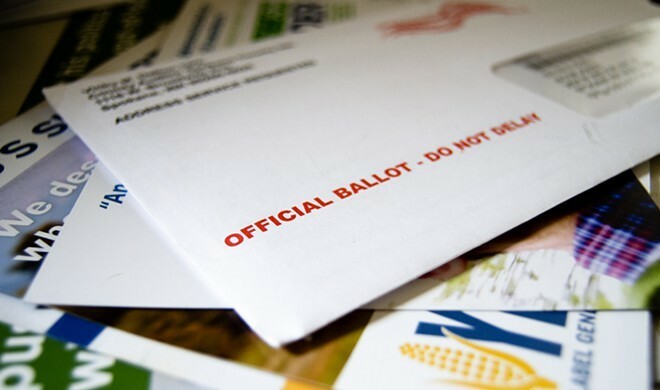 In case you hadn’t noticed, it’s election season and ballots should be in voters' hands. If you’re having a hard time filling them out, the Inlander has a rundown of the personalities and policies at stake in Spokane Valley, the Spokane School Board, Coeur d’Alene, Spokane City Council, statewide initiatives, as well as a long look at Spokane City Council President Ben Stuckart. Speaking of Stuckart, he’s introduced an ordinance that would allow individuals convicted of misdemeanor pot possession charges to have them retroactively taken off their record. An obscure Boise attorney who has ties to a Republican political operative appears to be poised for an appointment to a lifetime federal judgeship. Both of Idaho’s Republican senators appear to be proposing that Erika Malmen be given a seat on the federal bench despite not being well known in Idaho’s legal community and having been turned down for a state judgeship. Her husband, Jeff Melman, is well-connected to the state’s Republican Party. Residents of Stevens County are concerned that Gov. Jay Inslee’s decision to reduce the number of cougars that can be hunted in the state is putting them at greater risk of being attacked by one of the predators. Inslee had initially issued a greater number of cougar permits. Someone is lighting fires along the northeast border of Dalton Gardens near Hayden. Democratic presidential candidate Hillary Clinton testified before a Republican-led congressional panel charged with investigating an attack on a U.S. diplomatic compound in Benghazi, Libya. Clinton was secretary of state at the time of the attack, and critics have said her handling of the situation was severely lacking. Democrats and others have charged that the investigation is politically motivated. The first American soldier combating the Islamic State has been killed in a raid on a prison compound.